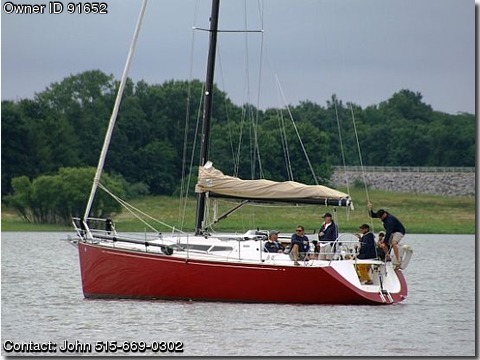 BOAT OWNER'S NOTES: C&C 115 2006 Sailboat. This boat has less than 100 hours on the diesel engine. The following is a list of some of the equipment on board. Auto Pilot, windlass, Factory A/C and Heat, Stack Pack Main Sail, Furling Jib and Carbon Fiber Jib Pole, Carbon Fiber Mast and Boom, TV and Stereo, 3 Batteries, Spinnaker, Light air head sail with horizontal battens, Ultra Suede Tan Leather Interior, Leather covered Wheel, Wind Instruments, Trailer is brand new with zero miles. The above cost was over $250,000.00 new but now for sale for $179,900.00 including trailer.